Education Minister and Jewish Home leader Naftali Bennett blasted former Supreme Court Chief Justice Aharon Barak over his contentions that Israel is liable to carry out a large-scale genocide. "A disgraceful statement by Aharon Barak, this is a complete lie: Never, in a thousand years, will it happen that in the State of Israel they will carry out genocide or anything that comes close to it," said Bennett. "There is no similarity between the Nazis and the Holocaust they perpetrated against the Jews on European soil, and the Jewish people's campaign for its existence here, on the land of the Land of Israel, against an enemy who wants to destroy us," Bennett added. 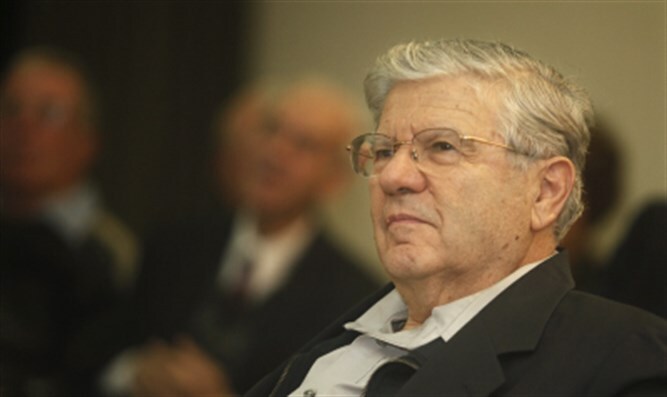 Barak, who headed the Supreme Court from 1995 until 2006, is one of the pioneers of judicial activism in Israel. Under Barak's tutelage, courts became involved in an ever-growing range of issues they had not previously been involved in. Barak had said last week that an independent judiciary is vital to preventing Israel from carrying out crimes similar to ones perpetuated by Nazi Germany. "Our approach to this issue is that it cannot happen here and it is wrong. If it happened in Germany during the times of Bach, Goethe, and Beethoven, it could happen anywhere," Barak said during a conference at the State Attorney's Office on Tuesday. “Democracy in the world today is under attack mainly because of problems with immigration and terrorism. If we do not defend democracy, it will not protect us."